Photographs by Thomas Joshua Cooper & Timothy O'Sullivan. Radius Books, 2010. 48 pp., 27 tritone illustrations, 10½x15". In the summer of 2003, Thomas Joshua Cooper traveled to Shoshone Falls in southern Idaho to photograph where the Snake River had tumbled across a 212- foot precipice, once one of the most sublime landscapes in the AmericanWest. 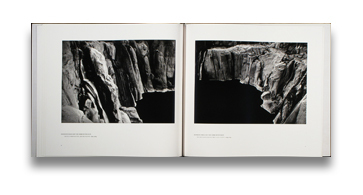 Cooper’s images were a response to the work of Timothy H. O’Sullivan, photographer on the late-nineteenth-century geologic and geographic surveys led by Clarence King and George M.Wheeler. Traveling to Shoshone Falls in 1868, and again in 1874, O’Sullivan made images that capture both the physical grandeur and emotional resonance of this unique landscape. Cooper’s photographs simultaneously engage the work of his predecessor while expanding his own formal vocabulary in a project that generates a dialogue around history, geography and photographic process. Printed large-scale in lush tri-tone, this book reproduces 18 of Cooper’s images in tandem with nine by O’Sullivan. Selected as one of Antone's Picks on photo-eye Blog. Read the blog post here. 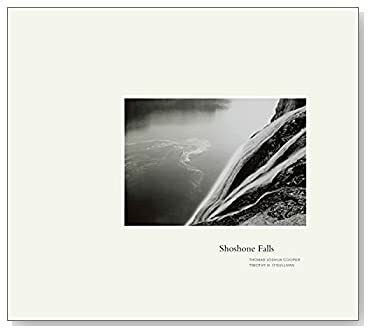 Read Mary Anne Redding's review of Shoshone Falls in photo-eye Magazine.